With over 200 million users, Shazam is THE app for identifying sound. 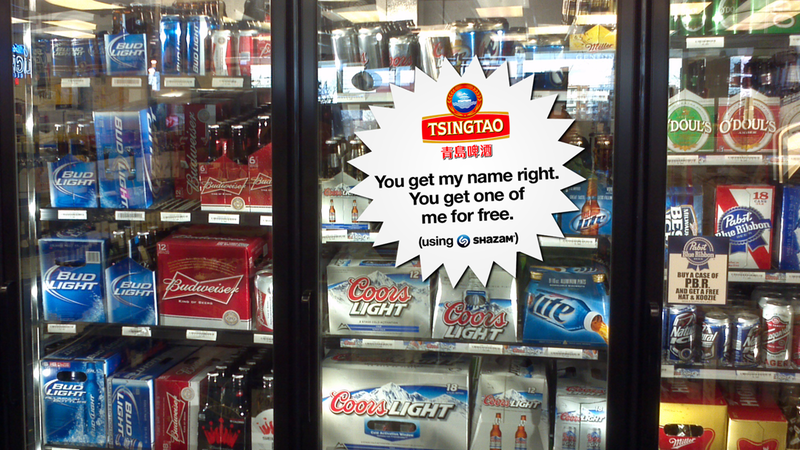 With TsingTao being so hard to pronounce for Americans – we figured we could make that a challenge. Pronounce TsingTao correctly with Shazam. 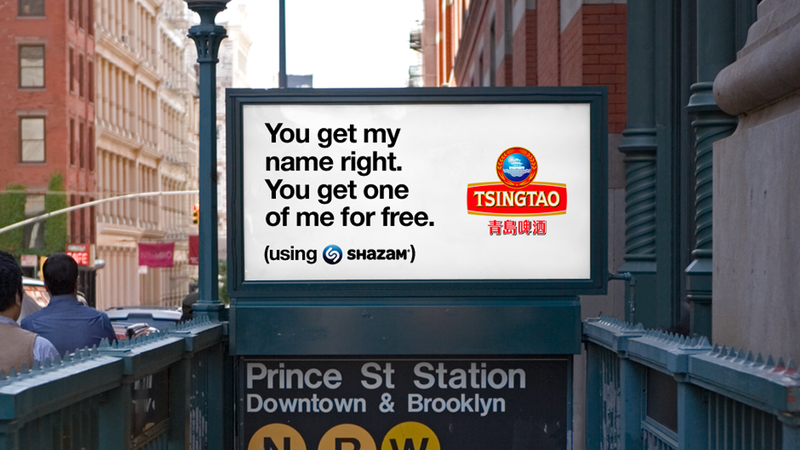 Get a coupon and the location of your nearest TsingTao six pack. With flyers or sticker promotions at the point of purchase – we can activate people at the time of intent. We can activate people using OOH. And of course, we’ll spread the message online. A mobile action marketing effort to sell TsingTao where TsingTao is sold.